Taking its name from the northern coastal Danish town. 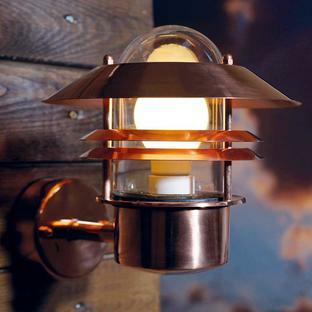 The Lønstrup 22 wall lights designed with the stormy northern Danish coastal town in mind. 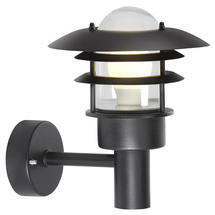 The lights are available in either a black powder coated finish or galvanised steel and have a glass lens. If locating in a coastal area we would advise the galvanised version only. 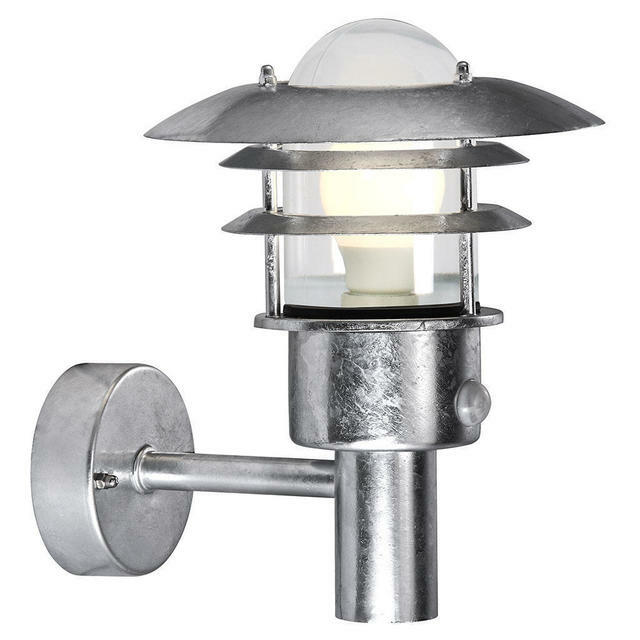 Galvanised metal is best suited for harsh outdoor weather conditions. 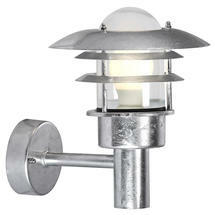 The Lønstrup 22 wall light is also available with a PIR motion sensor in the galvanised version. The galvanised Lønstrup has a 15 year anti-corrosion guarantee and is suitable for coastal locations. This light is suitable for use in a parallel circuit. Replacement glass is available here. 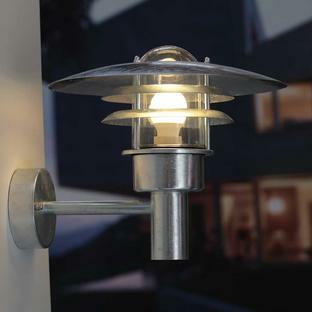 For Lønstrup wall lights, you will need to chose the clear option. If you like the Lønstrup 22 wall lights but would prefer something larger then the Lønstrup 32 wall lighting is available. 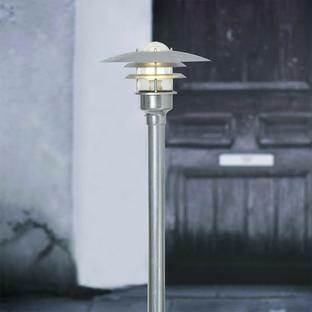 Also in the Lønstrup range is pillar lighting. 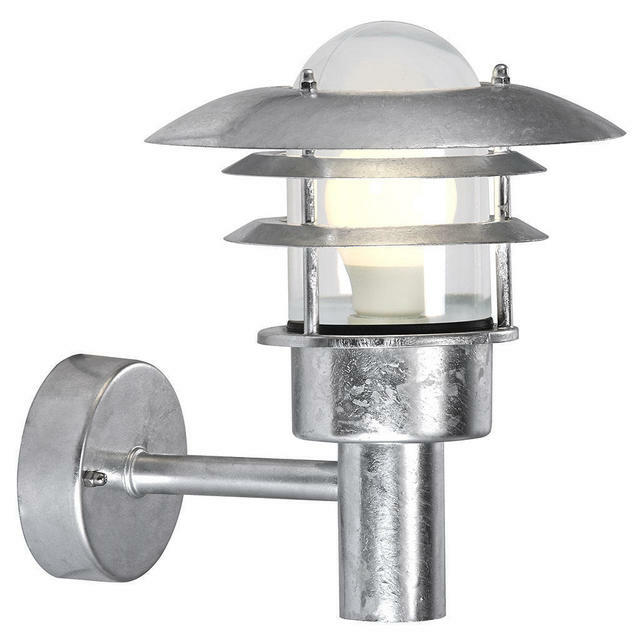 The Lønstrup 22 wall light is also available with a PIR motion sensor in the galvanised version. Once this sensor has been activated, the light will turn on for 1 minute. The range of sensitivity for this sensor is between 100 and 110 degrees.